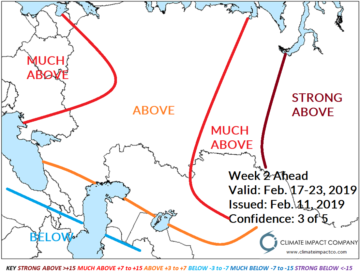 Highlight: Western Russian Warmth Fades. 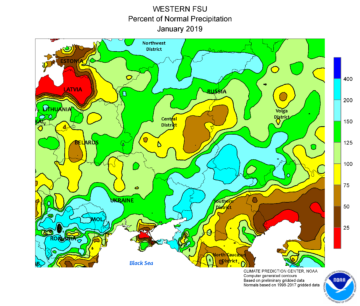 Discussion: Heavy precipitation eased soil moisture deficits in southwest Russia to parts of the Black Sea region. 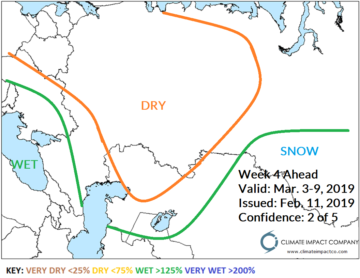 Ukraine observed beneficial precipitation in January. 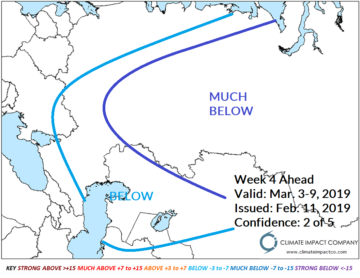 A mild marine climate and eroding southwest Russia snow cover last week. 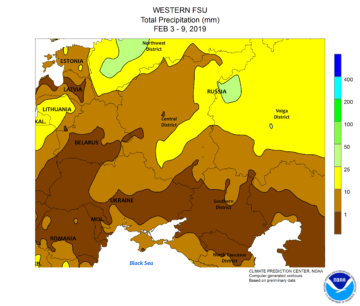 West and southwestern Russia were drier than normal. This week is mild and drier than normal. 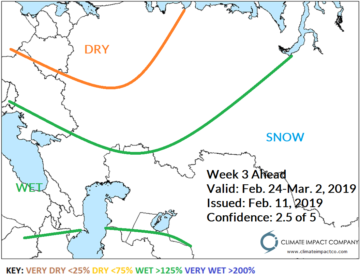 Comment: No arctic air in the pattern and Western Russia to the Black Sea region is mostly drier than normal. Central Russia is mild but snowy. 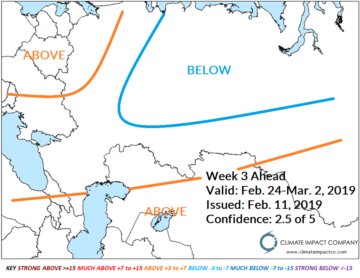 Comment: Turning colder across Western Russia. 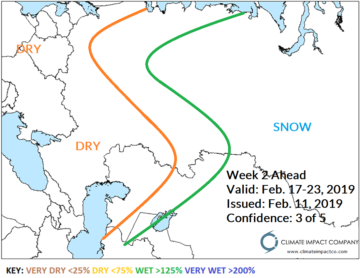 The Black Sea region to Central Russia observes above normal precipitation. Comment: Advancing cold is indicated but with LOW confidence.